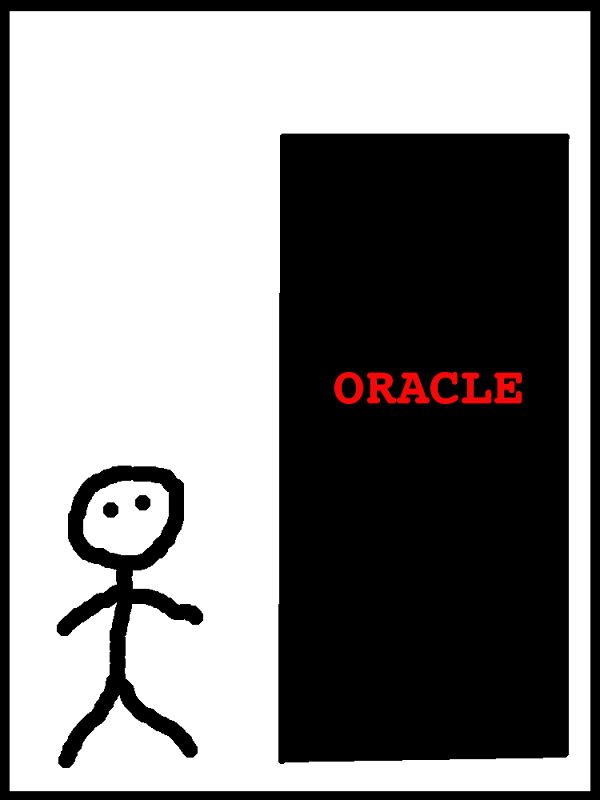 I've been wanting to translate some of the concepts of Oracle to pictures for quite some time. Pictures have a way of telling a story that words cannot express. So, inspired by Michael and his Eternal Sunshine series, I'm going to give it a go. Perhaps I should have made myself much smaller? I remember what an overwhelming experience it was, "Here's your tnsnames.ora and SQL*Plus, get started..."
It would be very bad given my "skills" at using GIMP. Is there software out there for creating strips? I haven't even looked yet.